The motorcycle game is seeing a shift. We all want to be protected, but we also want to be comfortable, and look stylish, as well. In this writer’s humble opinion, it never gets more stylish than a sweet leather motorcycle jacket, however, at times, perhaps a lighter, non-moto specific jacket/hoody would be nice to rock for a quick scoot around town. For those time, the Dainese has you covered. 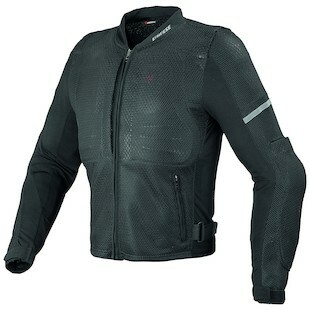 The new Dainese City Guard D1 Jacket is all about warm-weather commuting. Stocked with the Wave G Level 1 back protector and removable chest protection that meets a Level 2 specification, this net mesh jacket flows a ton of air and is meant to be worn underneath regular clothes. By making use of armor throughout the chest, back, shoulders, and elbows, the City Guard D1 utilizes Crash Absorb technology to disperse the force of an accident and reduce the effects on the body. If you already have a lightweight motorcycle jacket and are just searching for a bit of extra protection, the Dainse Gilet Spine Vest is another great choice. 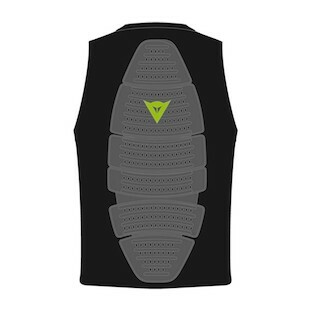 Built as a snug-fitting base layer, the extremely comfortable vest comes with a back protector that has been certified to EN 1621.2 / 2014 Level 1. Constructed of ergonomic stretch fabric, the Airnet Imola 3D material makes for a base layer that you hardly notice and will remain cozy for long hours on the bike. So, with spring right around the corner, it is time to think about how we want to ride this season. If you prefer a lightweight, non-moto look with your outer gear, make use of the City Guard underneath so that you can ride on with the armor that you need.